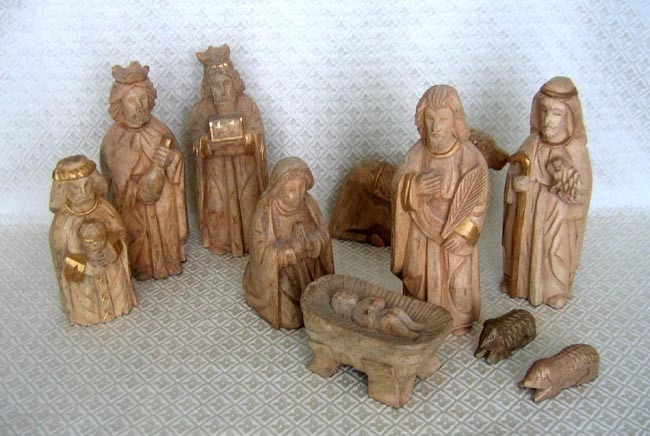 Each piece of this Nativity set is hand-carved from mango wood by artisans in a Philippine village. The pieces are then rubbed with linseed oil to preserve the mango wood’s beauty, and then accented with gold highlights. These pieces are quite large, with the tallest standing 11 inches.